Pimp Out Your Business Facebook Page! Like it or not, Facebook has become one of the best places to market business on the Internet. Whether people are absoribing content, noticing new events and/or sharing your page and content with their peers and friends, Facebook is keeping many business relevant. And then Timeline happened. And life as we knew it changed forever. 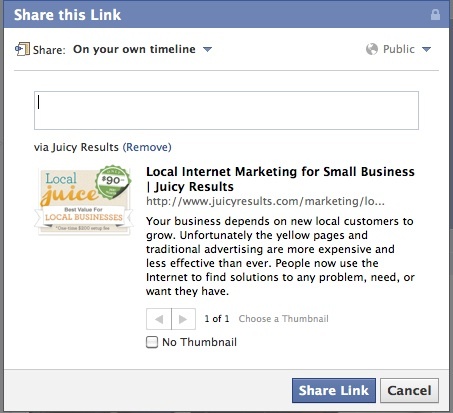 Since the mandatory change-over to Timeline that Facebook initiated on March 30, 2012, all pages have been converted to this bizarre new format that has stumped many and continues to prevent awesome content seeding from businesses. 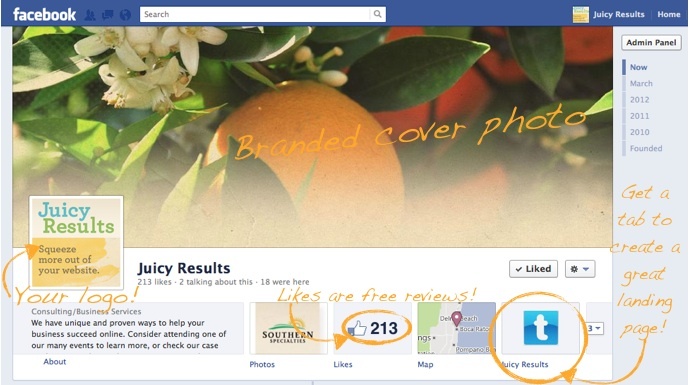 With the standard layout, standing out will be hard; follow some of our tips on how to pimp out your business’s Facebook page. The first thing people will notice when they come to your page is the cover photo. This is technically a background photo, and no links are allowed on this image (not working ones, anyways). The profile photo is what most companies are using as their logo, but can also be a headshot if you are the owner of the small business. Headshots are really great for giving your page a personal feel as well as showing that you are a legit company with humans employed. You’ll want to fill out as much information as you can in the About section, and definitely link back to your website. Address, phone number, description and website information need to be consistent with every citation you have around the web and the description should be blurb-style: you always want to redirect people to your website to get more info about your business. 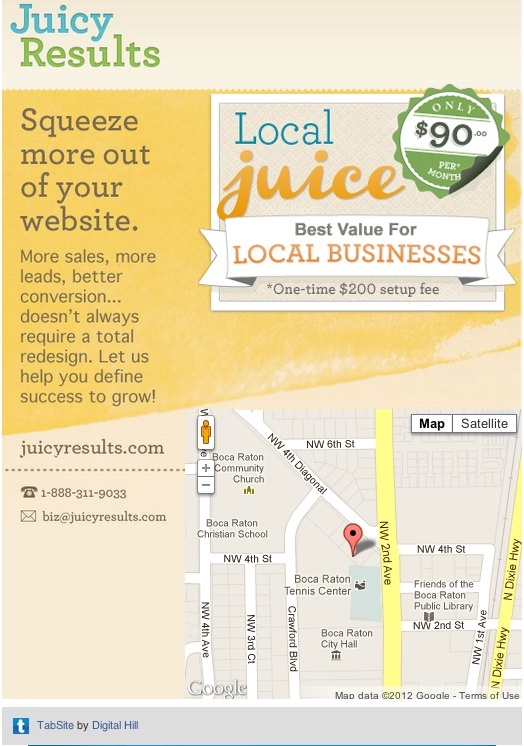 Those of you who are using Facebook as your sole website need to have this optimized like it’s your job! Once you’ve gotten your page all pimped out with images, links, tabs, maps, etc., it’s time to get that content out there! Now, don’t go crazy and spam all your friends’ walls and post all creepy-like on your friend’s baby’s pictures, but do share your page with the world. Whether you’re running a campaign with Facebook ads trying to get likes and paying per click, or you just want to ramp up your audience as quickly as possible, remember to be polite and let your content and images do the selling. Post an article, share a picture, inform your subscribers about things pertaining to your business and they’ll be much more likely to a) share your stuff and b) not unsubscribe from you and if they know you, stop inviting you to things. Ready to pimp out your page? Like! 2 Responses to Pimp Out Your Business Facebook Page! Pingback: Are You a Social Media Loser?